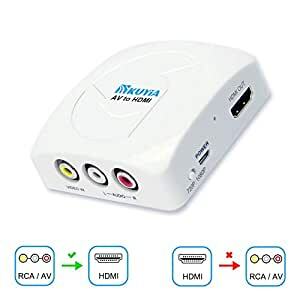 ★【AV TO HDMI ONLY】 - This KUYiA AV to HDMI converter is a must have if you want to keep using your older devices with your new smart modern HDTV/HDMI monitor. Please Note: this RCA to HDMI adapter is not reversible, convert analog composite signal to HDMI only. ★【GOOD COMPATIBILITY】 - Support PAL, NTSC3.58, NTSC4.43, SECAM, PAL/M, PAL/N standard TV formats input and HDMI 1080p or 720p output. Please Note: This AV to HDMI converter Does NOT support 3D. 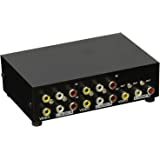 ★【GREAT TRANSMISSION】 - Transmit audio & video simultaneously with no lag, provide advanced signal processing with great precision, colors and resolutions, convert analog input to HDMI 1080p (60HZ) output. Please Note: this AV to HDMI adapter can't improve image quality, signal convert ONLY. 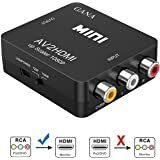 ★【GENEROUS DESIGN & EASY TO USE 】 - Very little RCA to HDMI converter box, portable and flexible, works straight out of the box, easy hook up, just plug and play. Adopt ABS UV process and special design， environment friendly, looks simpler and more generous than other converter. ★【100% REFUND GUARANTEE】 - 13 months replacement warranty, or 45 days unconditional refund and of course our lifetime support guarantee. You can purchase with confidence for our AV to HDMI converter adapter, every customer will get the best product and service. ♥ This AV to HDMI converter Does NOT support 3D. ♥ Convert analog composite signal to HDMI only, this RCA to HDMI converter is not reversible. ♥ Video signal transfer only, can't improve the video quality. 5.0 out of 5 starsGot my ps1 working with my hdmi only tv! I love gaming consoles.. new and old! But my new tv will only accept hdmi input. So I really neeeeded something to get the video from my original psone to display on the new tv. I was anxious to get this to try it. It works great. What’s even better is I have found that I can now connect my psone to the hdmi selector that I use to choose between the other consoles. The picture quality is very good. Same with audio. Looks as good as original. Won’t magically allow a ps1 to natively output 1080, but does allow it to upscale its output to be viewed on 720 and 1080 monitors or tv’s. Happy with it. May buy a couple more for some other early consoles. Worked exactly as described. A great little RCA to HDMI converter for playing Super Nintendo on a new HD TV. There's a button for switching between 720 and 1080, however I noticed no discernible difference when using it on a Super Nintendo console. Great option for the price. I bought this so I could play my Nintendo 64 on my HD TVs. It was an easy installation, but don't expect amazing picture over the default visuals the N64 has. The only issue I had was that it adds more of a contrast/brightness to the colours. It was most noticeable in Mario 64 and DK64 which in other games I didn't realize a difference in picture quality. 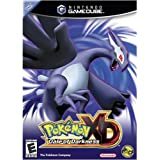 5.0 out of 5 starsExcellent Product! Exactly what I need. 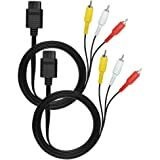 Great item that works well for using your old devices with a TV that only has HDMI connections. 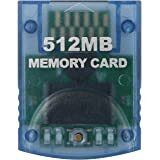 Was looking for a way to be able to play my Nintendo 64 again and found this little device. It's simple plug and play nature allows you to easily set up older consoles on modern tvs. I tested this with both my Wii and an older DVD player and both performed perfectly for several hours. I will definitely be using this for a long time to come! Rather than run a composite cable to a new TV, I chose to use this and an HDMI cable. It's been on 22/7 for 4 weeks and has been working great and I'm happy with purchase. 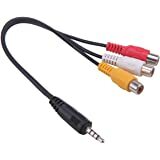 While it's true that composite video on the larger TVs really doesn't look that great, this unit did not add any distortion and it really simplified the cable run to the TV. It's well worth the price.